Tonight... Showers, mainly before 3am. Low around 46. 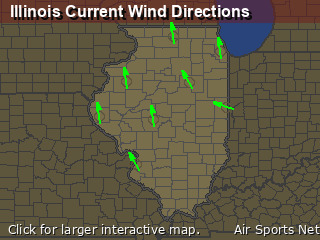 East northeast wind 5 to 10 mph becoming north 10 to 15 mph in the evening. Winds could gust as high as 20 mph. Chance of precipitation is 90%. New precipitation amounts of less than a tenth of an inch possible. Friday Night... Increasing clouds, with a low around 39. Northwest wind 10 to 15 mph becoming light north northwest after midnight. Winds could gust as high as 20 mph. Saturday... Rain, mainly after 1pm. High near 47. East wind 5 to 15 mph, with gusts as high as 25 mph. Chance of precipitation is 80%. Sunday... 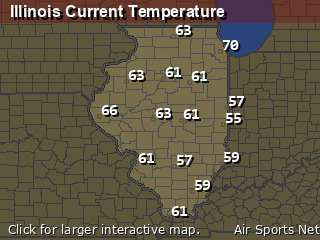 Sunny, with a high near 53. Monday... Showers, mainly before 1pm. Cloudy, with a high near 56.